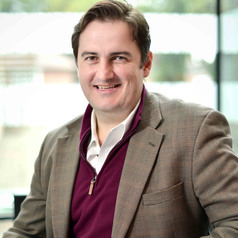 Dr Antonio C. Malfense Fierro completed his PhD at Edinburgh University Business School in 2012 and has worked at Hull University Business School in since 2013. In May 2010 he was selected as one of the 100 global ‘Young Leaders of Tomorrow’ for the St Gallen Symposium in St Gallen, Switzerland. During 2010-2011 he was the first ‘Chazen Visiting Scholar’ at the Lang Entrepreneurship Center at Columbia University Business School, in the city of New York. He has also more recently (2013) been a visiting researcher at Makerere University Business School in Uganda, investigating large scale successful portfolio entrepreneurs in addition to work with the STEP family business consortium. In 2014 he was invited to the London School of Economics (LSE) Africa summit as an academic advisory panel member. In 2017 he was nominated and won the University of Hull's Student -led inspiring teaching award from the Hull University Students Union. being the first journal paper of its specific nature showing the economic contribution of Portfolio Entrepreneurs in Africa. This research underlines a broad interest in African business, and entrepreneurship which he teaches at both undergraduate and postgraduate level. More specifically, he is fascinated by the relationship between risk and entrepreneurship and how risk is managed over time by entrepreneurs in different environments. Antonio is currently assessing existing measures of ‘entrepreneurial environments’ and their practical applicability and relevance to entrepreneurs and policy-makers. He is also investigating the role of portfolio entrepreneurship in African economic growth and development. He is also working on an over ten year long longitudinal study on portfolio entrepreneurship in Malawi. Other interests, include the growth processes of entrepreneurial business groups in rapidly, developing and growing markets, the business start-up and growth process, family business and venture capital. His capabilities extend to the development, design & undertaking of bespoke market research in Africa (and other challenging contexts), executive education in the areas of business opportunities/challenges (Africa and elsewhere), general entrepreneurship, firm growth and market opportunity assessment.